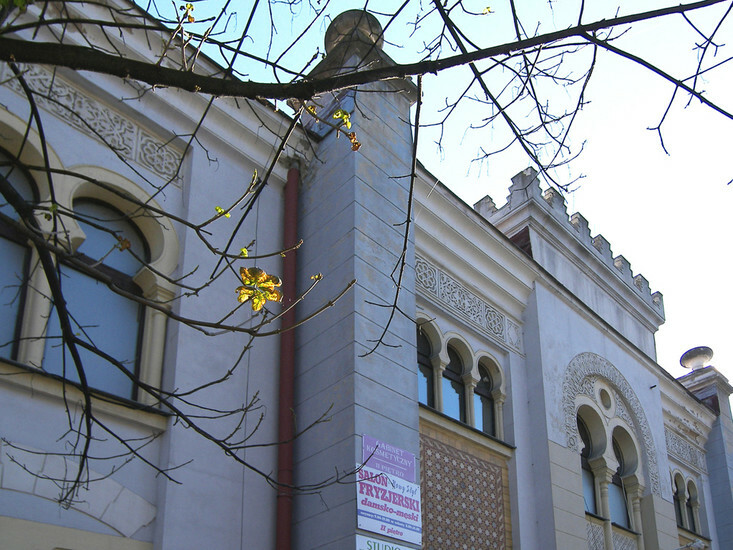 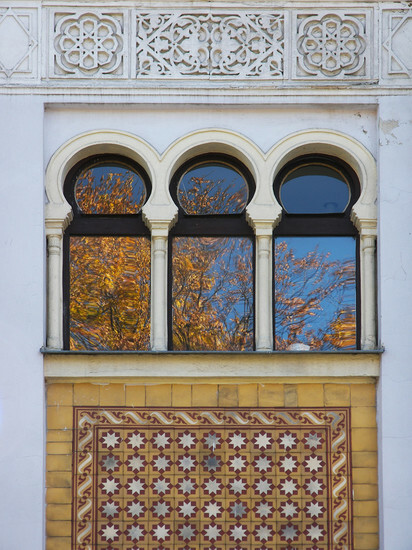 Tarnów's ritual Jewish bathhouse was designed in the Moorish style (very fashionable at that time) by local architects Franciszek Hackbeil Sr. and Michał Mikoś, and opened in 1904. 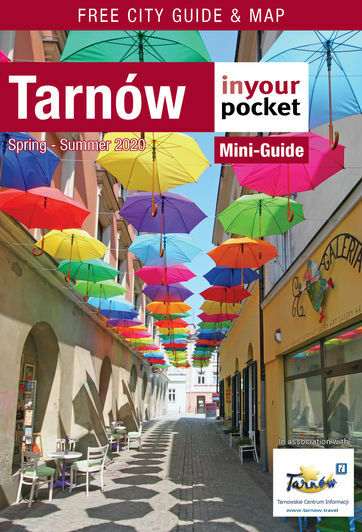 In use by the local Jewish community until Nazi occupation, during WWII Tarnów's mikvah was used as a temporary detention centre for prisoners bound for the concentration camps. 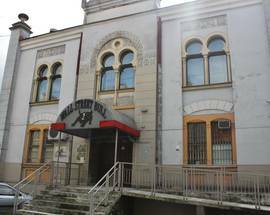 Famously, 753 convicts from the local prison (mostly non-Jews) were locked in this building overnight and escorted under gunpoint to the train station on June 14th, 1940, to become the first inmates of the Auschwitz concentration camp; a monument opposite the mikvah honours their memory. 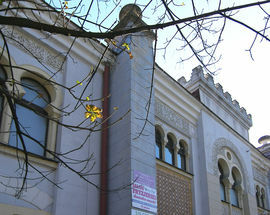 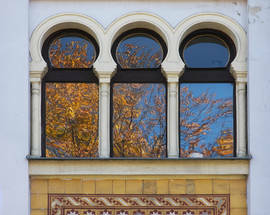 After the war, the building was used as a public bath, and later a department store. 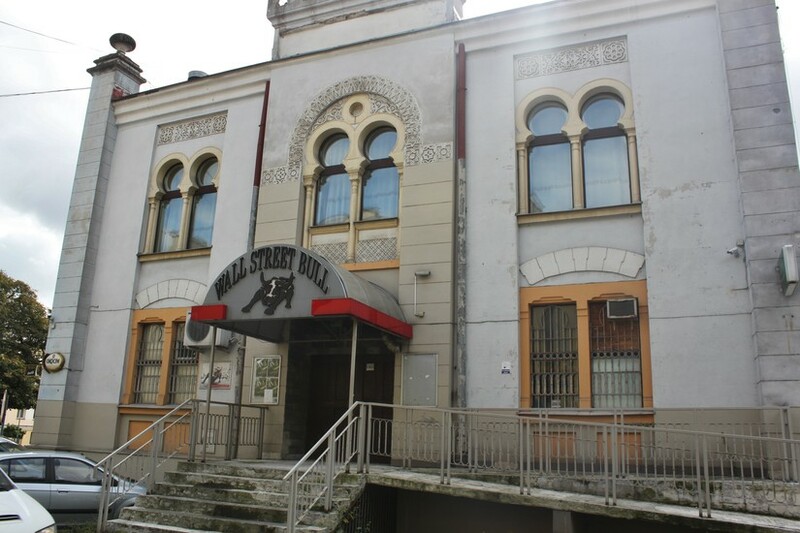 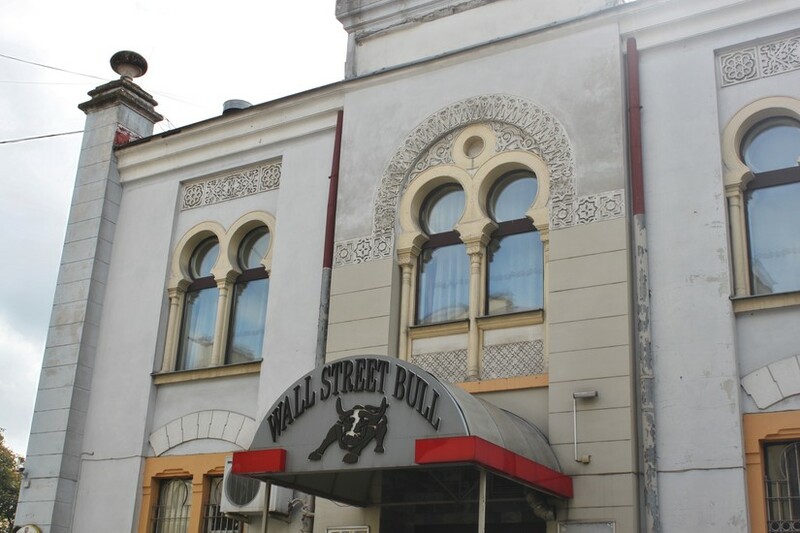 Though evidence of its former beauty is still visible, for years Tarnów's mikvah has been tarnished by the vulgar signage of the various danceclubs, restaurants and other businesses that have occupied the large building. 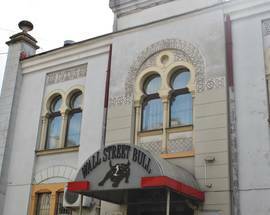 In May 2017, a restaurant on the first floor of the building was the subject of Magda Gessler's culinary show Kuchenne Rewolucje ('Kitchen Revolutions'), resulting in its transformation into Stara Łaźnia - now one of Tarnów's premier dining destinations.